Kitty Clairmont Author | Kitty's blog – thoughts and musings about her books, poems and anything else that makes her sit up and take notice! The Arty Tardy Pilot scheme has now come to an end. In a way I feel sad because I met and worked with some amazing people who I will miss especially are the fabulous children from Kensington, Godwin and Ad-Deen Primary Scho ols. The project was originally set to run for 6 weeks but it was extended to 3 months and I was a great success. It has been a lot of hard work, not only for me as it was the first project of that magnitude I have ever attempted but also for the school staff involved. I also have to thank my publicity campagin manager Anthony Harvison for his continual and unwavering support throughout the campaign – whilst I tried to juggle my PGCE and the pilot scheme, he was the calm voice of sanity and reassurance as well as another tireless worker who managed to secure heaps of positive publicity for the scheme and book. It gave me the opportunity to realise just how approachable teaching children at such a young age about the lives, dilemmas and disabilities others face. The reception children at Ad-Deen Primary School embraced this topic with such enthusiasm for what is often a difficult and unapproachable area. 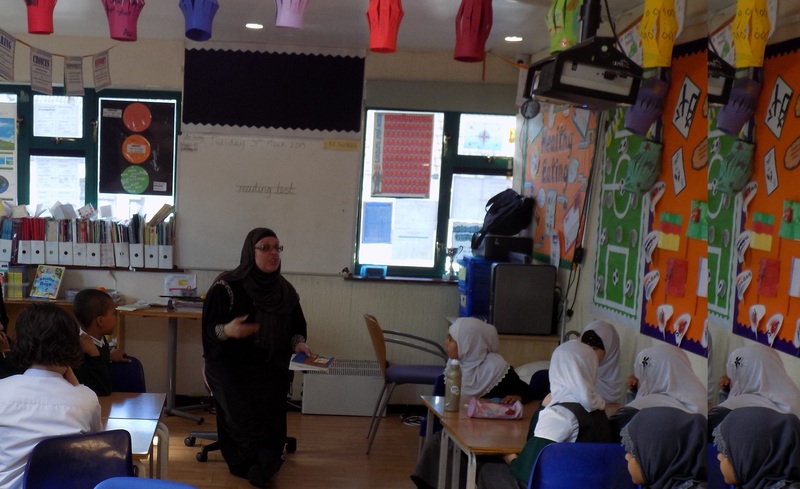 The lessons allowed the opportunity for children as young as four and five to express their opinions and experiences and reflect on their behaviour towards others in various circumstances. The positive impact this project has been so profound. The children have become more aware of themselves and others, self-monitoring their own behaviour, being more considerate and tolerant, acknowledging and beginning to understand that we are all different but deserve to be treated with kindness and compassion. I feel honoured to have had the experience of working alongside Kitty in delivering this wonderful topic and seeing how it can successfully be incorporated into so many different areas of learning. T hanks very much for this. It is very exciting and I am delighted for you that it is getting so much well deserved attention. I know the children in Y6 enjoyed it greatly and, later this year, I’d like to further explore how we can integrate it into our regular curriculum so it is a core text that children study during their time at KPS. We have a considerable number of ASD children and I know this will be a significant issue for the school. Developing all children’s understanding of the challenges faced by these children will be essential in creating a harmonious, positive atmosphere at KPS. I just wanted to say before the end of the school year what a pleasure it has been having you get involved here at Godwin Primary School, Dagenham. Not only have you allowed us to get to know Arty Tardy but you have also been a great inspiration to the parents here. They and I have really enjoyed your visits; your sharing of how you started writing and why; listening to you read pieces of your work and answer questions about them; and for also supporting them in venturing into their own writing. Staff, parents and children alike have enjoyed reading Arty Tardy and have seen how he relates to real people they know on the Autistic spectrum. Several parents have said how elements of the book remind them of their own child and hope that other readers will be able to better understand what it is like to be autistic. We are looking forward to the next book in the series and hope you will keep in touch. Thank you. I am writing to you to thank you for writing this book. It has been such an inspiration to my son and has helped him control his autism a lot better and has helped me understand what he goes through on a daily basis. So once again I thank you and can’t wait for your next book. Just thought I would let you know that the kids have been fighting over the book and who gets to read it in reading choice time. Also, my boy with autism has started to read it (first book this year!!!) and is laughing at all the jokes and saying “I do that too!”. Mum is reading it at home and they are going to finish it over the holidays. I will let you know his final thoughts. I honestly love the way you’re introducing children to special needs and how they think, feel and react. Very insightful for them. Arty Tardy was comical and enticing and I’m really looking forward to the release of Bonnie Bonny!! A rty Tardy provides another useful resource for mainstream schools. Bullying often occurs when children don’t understand why people behave differently, and Arty Tardy invites both children and adults to step into the shoes of Tardy, the main character who has autism. Written through a fun narrative, the book explores sensitive issues and key features of autism, such as inflexibility, sensory differences and social misinterpretation. This pilot has the potential to explain autism to primary school children in a novel way, by using Arty Tardy to support creative elements of the school curriculum. It will also provide an opportunity to trial the teaching resources, particularly to ensure they are used sensitively with children in the class who have autism, as well as to develop a greater understanding and empathy amongst their peers. I am currently finalising the teaching resource book that will accompany Arty Tardy – it will be out soon! In there will be a special Acknowledgement sec tion to all those involved in the scheme – thank you again! In the meantime I am adding a new page on my website http://www.kittyclairmont.com entitled – Arty Tardy Scheme – it will be filled with information on how to run the scheme in your own school and lots of pics that I hope you’ll enjoy. Primary schools have introduced new measures to prevent autistic pupils from becoming “segregated from and alienated by” classmates, in a pioneering move that promises to help the UK’s 70,000 students with the condition to cope better in mainstream education. Year Three, Four and Six pupils are currently learning about what life is like for those on the autistic spectrum as part of their weekly timetable. The pupils, aged seven to ten, are being taught about common symptoms and given practical tips about how to build better relationships with their autistic classmates. Students will also be encouraged to “develop a meaningful understanding” of how autistic pupils may feel in a variety of potentially challenging social situations. It is hoped that the voluntary initiative will enable youngsters to become generally more inclusive and empathetic to others’ needs. The initiative is based on the publication of a specially-written new book about a boy with Asperger Syndrome. Children will read from the book, entitled ‘Arty Tardy’, in lessons each week and talk about the “emotional wellbeing” of the main character as a class. An accompanying lesson guide provides teachers and teaching assistants with a series of key points to discuss. The scheme is currently on trial at three primary schools in London. As many as 20 others from across the UK are expected to follow suit in coming months. 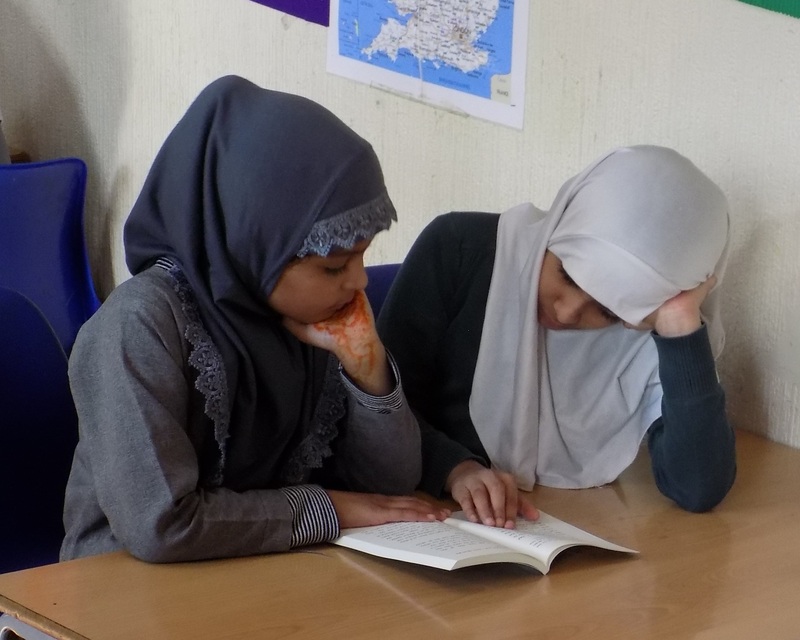 If the six-week pilots at Kensington Primary School in Newham, Godwin Primary School in Dagenham and Ad-Deen Primary School in Redbridge are successful, the book will be added to their long-term curriculum and become compulsory reading in future years. The initiative was yesterday welcomed by the National Autistic Society, which has previously criticised local authorities for “continually underestimating” the educational impact of autism. It also follows a 30 per cent annual rise in the number of appeals lodged at special educational needs and disability tribunals by parents with autism. The schools’ headteachers yesterday said the scheme has the potential of reducing bullying whilst safeguarding those with autism from being forced out of mainstream education and into specialist schools. Julie Phillips, of Godwin Primary, said: “We provide for a number of SEN pupils and aspire to create an effective learning community for all children, whatever their special educational needs. “We actively encourage inclusivity among our pupils and this book offers a new and exciting way to celebrate diversity with our key stage 2 classes. “Through shared reading based around Arty Tardy, we will help children to understand and appreciate things from the perspective of someone with autism. The new scheme, which is voluntary and is free to join, aims to raise awareness of the difficulties that children with autism and Special Educational Needs (SEN) face on a daily basis – often in secret. 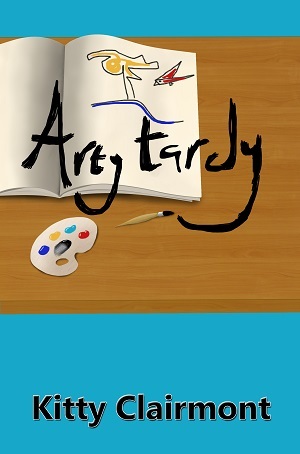 Participating schools are provided with copies of Arty Tardy, a specially-produced book about a boy nicknamed Tardy as he struggles to understand life in and adapt to mainstream education. Told through Tardy’s eyes, it details the complexities and challenges that he – and most other children with SEN and autism – face. Author and inclusiveness campaigner Kitty Clairmont, a trainee teacher at Ad-Deen Primary School, said the book sets out to break down the stigma surrounding autism and the way in which it is dealt with in mainstream schools. 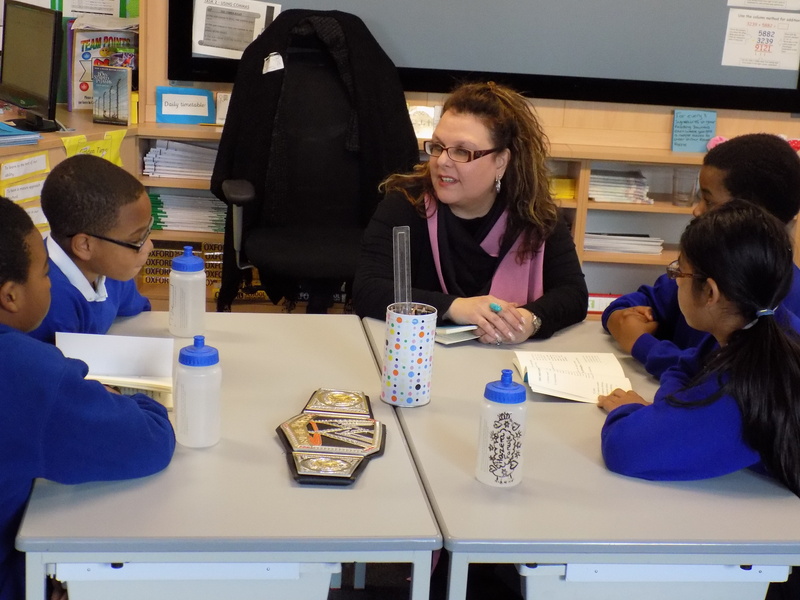 The mum-of-three from Newham, who has worked with SEN children for five years, believes schools must do more to facilitate the inclusion of all pupils. “No children, with and without SEN, are ‘mainstream’ at all. All children need the support, empathy and friendship of their peers and teaching staff to thrive,” she said. Judith Brown, Head of Autism Knowledge and Expertise, at the National Autistic Society (NAS) said: “At the NAS, we know that the majority of children with autism are in mainstream education and they can feel misunderstood by their classmates and teachers. It’s vitally important that teachers are equipped with greater knowledge and understanding about autism and a range of approaches. To help meet this need, the NAS are providing teachers and other mainstream school staff throughout the UK with free autism-specific information and resources as part of the My World campaign, http://www.autism.org.uk/myworld. “Arty Tardy provides another useful resource for mainstream schools. Bullying often occurs when children don’t understand why people behave differently, and Arty Tardy invites both children and adults to step into the shoes of Tardy, the main character who has autism. Written through a fun narrative, the book explores sensitive issues and key features of autism, such as inflexibility, sensory differences and social misinterpretation. The scheme has also won the support of Elizabeth Kangethe, the Mayor of Barking and Dagenham. She added: “Kitty is a passionate campaigner for inclusivity and her Arty Tardy scheme has a lot to offer schools, not only in Barking and Dagenham but across London. I will be visiting participating schools this week now that the scheme has run its course. I have had lots of positive feedback so far and I can’t wait to hear the children’s final views and find out if it has made a difference. I’ve already been told about two autistic children who have identified so much with the main character that they refuse to go anywhere without it! Wow! how wonderful and so touching! It’s the biggest reward I could ask for! There will also be a book signing at Ad-Deen Primary School in Ilford on Thursday – so looking forward to it! Wonderful message from competition winner – thank you so much! First week back on my final teaching placement in Early Years. Haven’t even finished planning next week yet….numeracy, literacy, phonics….exhausted. If one more person says “All reception do is play all day” I will happily stuff their heads in my caterpillar jar. What a b usy week it has been! I visited the three schools participating in my pilot scheme. Each class read ARTY TARDY and we analysed it together. I got some really good constructive feedback and they told how much they are enjoying it. I’m so pleased that it has already helped so many adults and children alike to understand life from the perspective of a child with autism for that was the aim of the book. It’s good that it has provoked so much thinking and already it is the favourite book of two autistic children in the schools I am working in. I am truly humbled – and delighted. My son, the budding photographer and also the book cover designer was on hand to take photographs and did a great job. The story will be going to press shortly. There has also been interest in the book from educational press and establishments and the book itself is going to be offered in various competitions – I will keep you posted! If anyone wants a taster – pop along to my website and listed to the first two chapters! I hope you enjoy! I am spearheading a pilot scheme across three boroughs using ARTY TARDY as an educational tool in order to promote inclusion. Three schools from Newham, Dagenham and Redbridge have expressed an interest and have started reading the book with children. The hope is that it can help to integrate SEN pupils and promote understanding of Autism and in particular Asperger. There has already been some excellent feedback with pupils and parents who have connected with the book and for whom it has made a difference. It has also just been selected by a school as a resource to fulfil the Inclusivity Module for their QuILT Accreditation – great news! There is a PHOTO SHOOT next week where I look forward to meeting pupils, reading the book with them and having a Q&A session! I’ll keep you updated about future news/media interest as it comes in. Don’t forget to check out the Children’s Review page on my website to read what some of the children have to say! 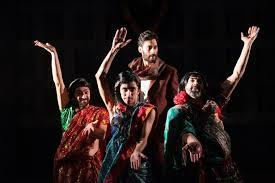 Shakespeare’s Macbeth as a British-Asian fusion! Robert Mountford gave a stirring performance as Macbeth wearing his clan’s turban as a crown complete with ceremonial robes and sword, a truly ‘resplendent Mughal Emperor’. What an inspired interpretation of the witches as hijras – a legally recognised third gender in India and Germany and made complete sense when you find out that ‘being outside the norms of gender, hijras see themselves as part of a spirit world that traces back to the half-man half-woman god, Ardh-Narishwar’. It was all incorporated sensitively and seamlessly into Shakespeare’s play in such a way that it made this British-Asian fusion an instant success.